My Closet Dress-Up Puffy Stickers are great for all who are creative and would like to express themselves. 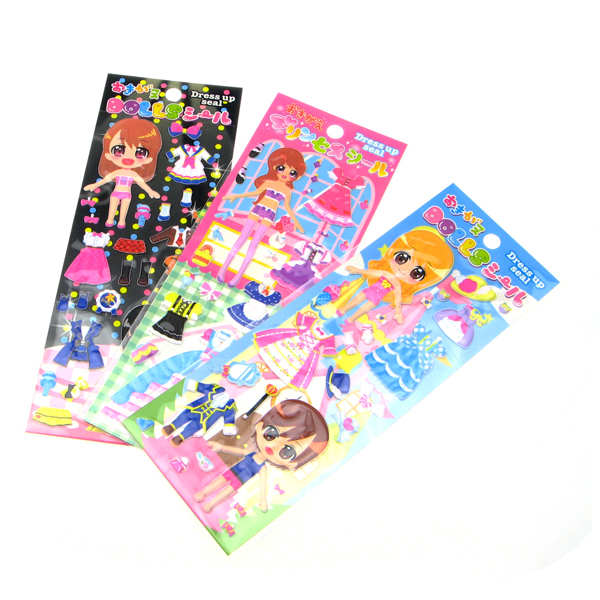 These 3D sponge stickers feature different clothing items, hair, shoes and accessories and can be used to play dress-up or just spruce up letters and scrapbooks. Images are for illustrative purposes only. Not suitable for children under 3 years due to small parts. One design will be sent out at random.